Approach to the par five 18th - bunkering yet to be completed. 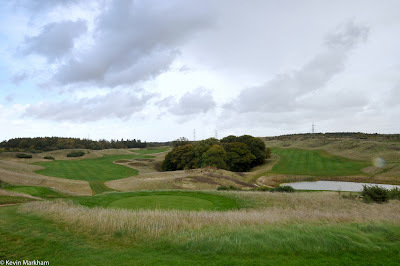 Last year I went over to England for the day, to visit one of the country's newest golf courses. The course was not yet open and some construction work was ongoing. At a time when golf clubs are suffering severely from the recession I was intrigued to find out why a new golf course was being built. And, more importantly, how it planned to survive. The Centurion Club is close to St. Alban's, in Hertfordshire, no more than 25 miles north of London's city centre. 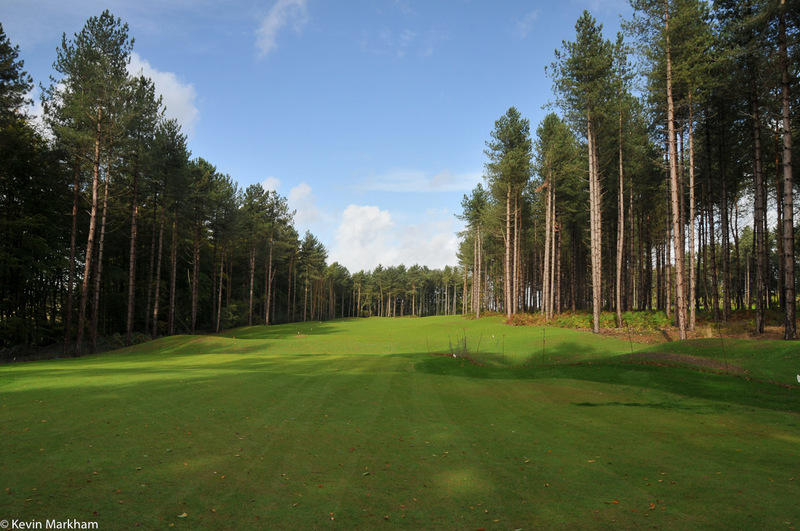 It's location will prove instantly attractive and, despite sitting close to the M1 motorway, the course is strikingly peaceful. Early holes, in woodland, are enchanting. The name comes from the ties to the Roman presence at St. Alban's (known then as Verulamium) and in the surrounding areas. This was one of the Empire's key staging posts on the island and there is a rich history all around. The club has embraced that, with membership titles of Centurion and Senate, and holes all have Latin names. The 18th, fittingly, is called Ad Infinitum. The par four 1st, tee to fairway. It was the first time I had encountered a private members' golf club and, to be honest, it took me a while to get my head around it. You don't have clubs like this in Ireland, where only members and their guests can play. It is that exclusive. Which begs the question: is there a market for such a thing? "Our first official Senate member lives in Kent," Jade told me, as she drove us around the course in a hefty jeep. Where in Kent, she didn't say, but the closest location in Kent (Dartford) to the Centurion Club is 45 miles away, and an hour's drive. Consider the number of clubs that this golfer would drive past to get to the Centurion, and you get an inkling of the attraction of exclusivity. Since my visit there have been many more member applications (for as much as £65,000 for the highest level - see below), and corporate membership is proving highly attractive, too: Fuller's Brewery is the latest to join... which may help to sort out the beer brands in the clubhouse! lake - while the par four 13th sweeps left and up the slope. 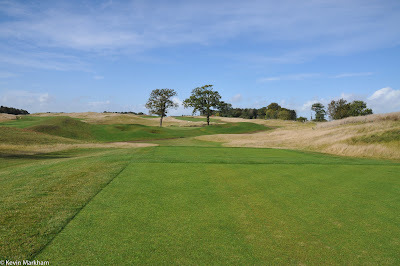 For the most part, the Centurion Club is a lazy, meandering affair, rolling sweetly over the Hertfordshire countryside. From the back Black tees it measures 7,200 yards, but most golfers will be playing from the Silver tees, making it a more manageable 6,850 yard Par 72. A 6,555 yard option is also available (Purple tees). There are five par fives and five par threes - personally, I love that. It adds to the thrill. The course was designed by Simon Gidman. Irish golfers may not have heard of him, but he designed the wonderful, flowing and highly rated Galgorm Castle outside Ballymena. It has a rhythm not dissimilar to the Centurion and it will be just as enjoyable to play. Simon's philosophy, he says, is to "combine the three main elements of golf course architecture; namely the penal, strategic and heroic philosophies that make golf such an exciting and varied sporting challenge." 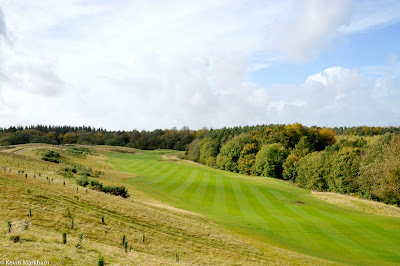 While the Centurion is not exactly penal, what I particularly liked were the strategic options a golfer will face: short or long off the tee, there are premium landing sites; and approaches to greens leave you with choices too. The wriggling 6th is a case in point (see photo below). It makes the game more fun, and the raised tees show off the course and surrounding countryside to their full advantage. When completed, over 30,000 trees and 5,000 gorse bushes will have been planted (see photo below), giving greater definition to the mounding that accompanies the more open holes - as well as providing screening from the M1. The Club’s Managing Director is Scott Evans, an ex-professional tour player who knows a thing or two about course design as well. There are four categories of Membership available: Senate, Centurion, International and Corporate. Prices and benefits vary and prospective members can contact the Club to arrange a guided tour on (+44) 1442 510 520 or visit www.centurionclub.co.uk for more information. 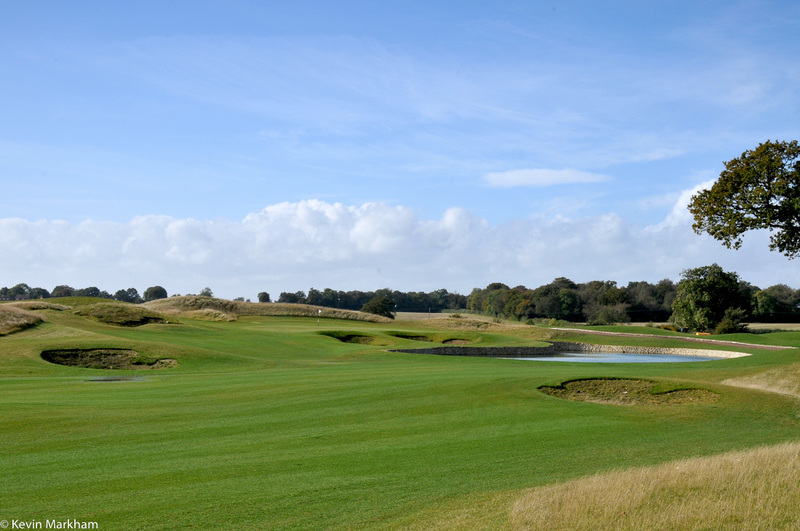 The course opens for play in July 2013. There was no clubhouse when I visited, but the plans are as ambitious as the golf course. How good the course will be, and how well it will be rated, remain to be seen... but, from where I'm sitting, it has the ingredients that will make it highly attractive to golfers who desire that air of exclusivity - quality, class, refinement and both a layout and challenge that will leave you wanting to come back for more. The clubhouse will, no doubt, serve as a calming, elegant retreat. I can see how this club will survive and thrive - it has the product and it is going after a clientele who want the best in life. And in Hertfordshire, the Centurion Club certainly delivers.